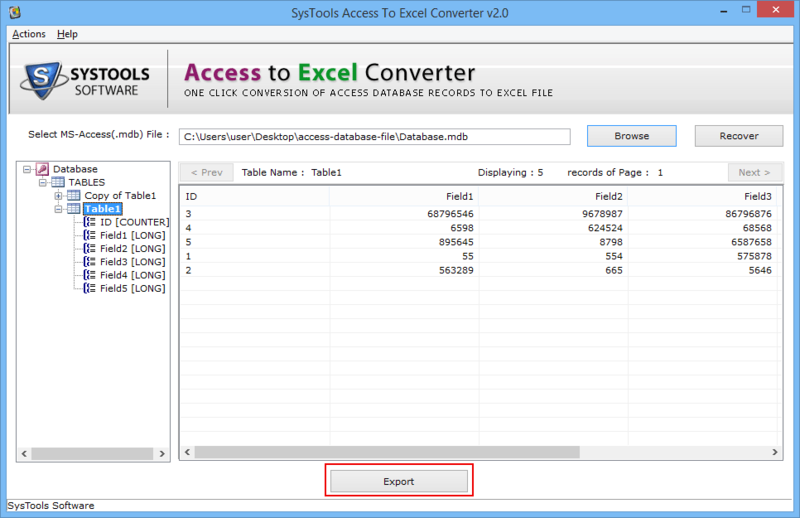 The MDB to XLS Converter is developed to recover and store the data of Microsoft Access into Excel. The data can be converted into both XLS or XLSX file format as per the choice. The software requires the installation of MS Office 2010 or below version for the migration. Users who want to migrate Microsoft Access tables with the entire database into Microsoft Excel can rely on access to XLS converter tool. 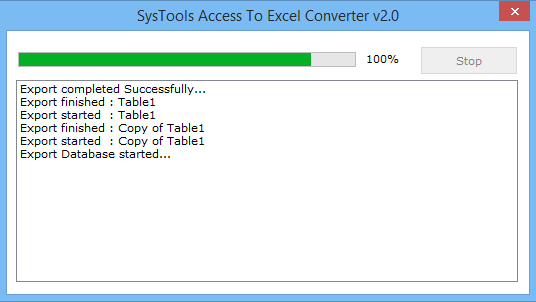 This access to XLS/XLSX converter software allows the users to save all tables along with the storage of complete data, which is saved in each column in various pages. It is very easy to open and view the entire database of Access of .mdb file format in MS Excel format. 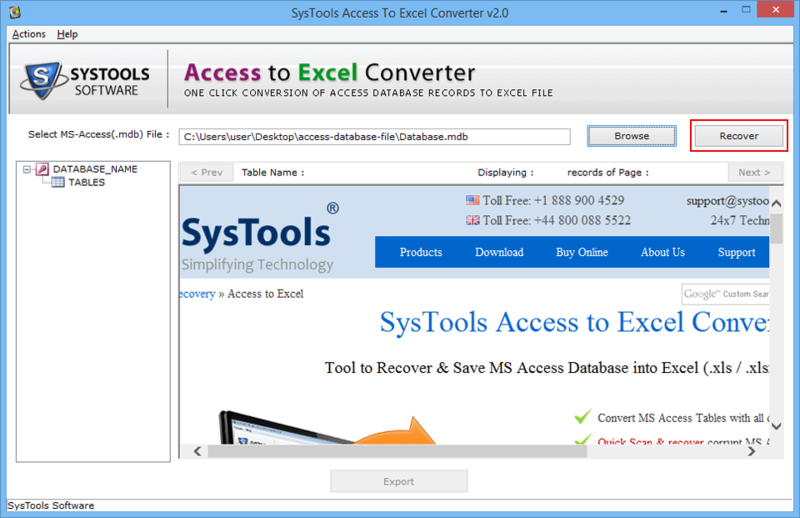 This MDB to XLS Converter software can handle that data of Microsoft Access, which is corrupt. 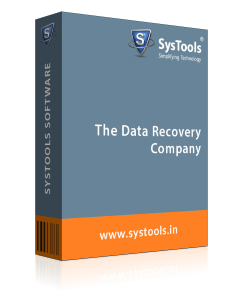 This software can recover the corrupted data before the conversion. Once the MDB file is loaded, the software will perform a quick scan and then, recover the damaged or corrupted data. After that, the repaired data can be transfer into Excel file and can be accessed easily. Store in Excel Per Table: The option creates single Excel file for each table, which is placed in Access file. 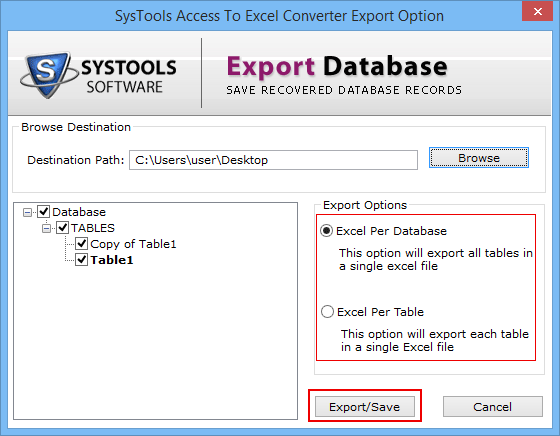 Users can export only the required or selective table files while using MDB to excel Converter. This software is capable to filter out the choices and can convert only specific files that are needed. This filter also helps the users to save the time of migration. The MDB to XLS Converter tool loads and generates a preview report of all the tables once the recovery process is done. Users can view all pages and go the next or the previous page as per the choice. The software shows the tables and columns with their respective entries. One of the essential features of this Access to XLS Converter is that it shows a report of the recovery process once the process is started. The tool scans the database and a progress details can be seen on the screen. This helps to know the storage format, number of Tables, number of unnamed tables, etc. Q. 1. Does the Software Convert Large MDB Files? 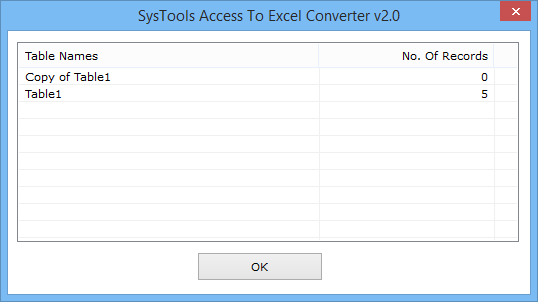 Yes, Access to XLS Converter can convert any MDB file regardless of the size. Q. 2. Does the Software Convert Corrupted MDB files to XLS file format? “I am using Microsoft Access and I was thinking to import mdb file to Excel. However, there are some MDB files, which are corrupted. Can repair those files before conversion?" Yes, MDB to XLS Migrater allows the users to repair and recover corrupted MDB files and then, perform the migration process. Q. 3. Can I access your software in Windows 8.1 Version? Yes, this tool is Windows based application and is compatible with Windows Version 2010 and below. 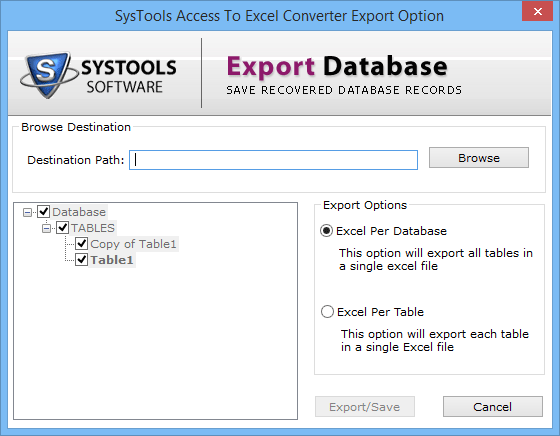 How to Export Data from Access MDB to Excel? 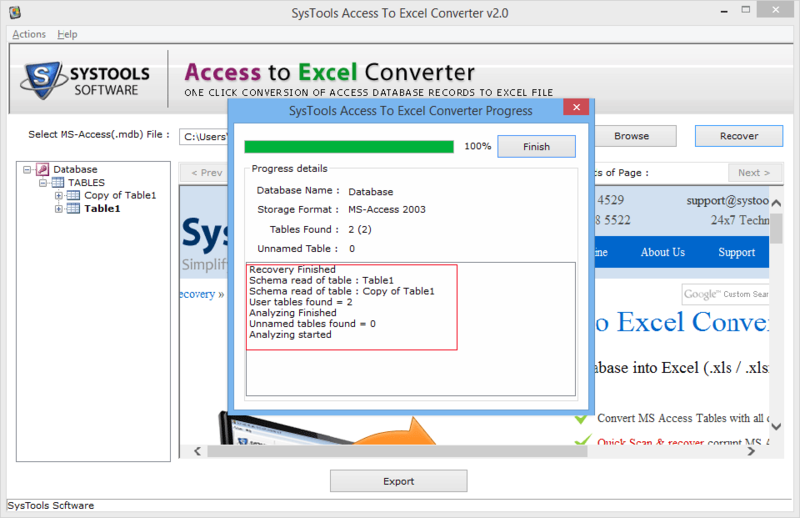 I have no solution about how to export Access data to MS Excel before I came across this effortless solution. This MDB to XLX Exporter software helps me a lot in the recovery corrupted MDB files and then, their conversion to MS Excel. Kudos to the developer’s team.